Dr. Sata and our team approach dentistry with kindness and understanding. We want our parents to have the tools to prevent decay in their young children, but when cavities occur, there should be no shame in that. We feel it is important that children learn the skills to have their teeth worked on without fear. Sometimes that’s a process that takes time and practice. We want every little boy and girl who comes in, no matter how they behave, to feel proud of whatever they accomplish. 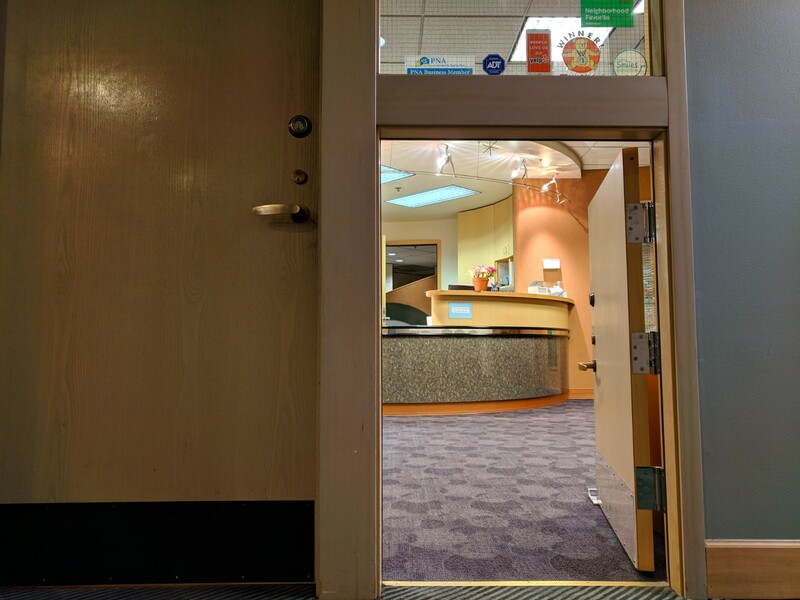 Imagine your little one entering our office through a child-sized door. Immediately he ​or she will know it’s a place for children. Janet and Ellen, our friendly receptionists, will be there to greet you. Our waiting room has a magnetic wall with magnetic dolls to play with, and a wide assortment of magazines for children, teens, and moms and dads. The children can go into our tree made of fabric and ribbons with tiny lights inside and out, and play with the stuffed animals inside. As you and your family enter the exam area from the waiting room, you will pass through a door with tiny folded-paper cranes placed inside glass panes. Each one was folded by Dr. Sata or her husband Jon. Our friendly assistants take the time to explain to patients and parents what they are doing, and let the kids touch and feel the prophy head, push the buttons on the chair, and feel the tools and view their radiographs. Children and parents are taught how to brush and floss properly to ease them into the appointment. 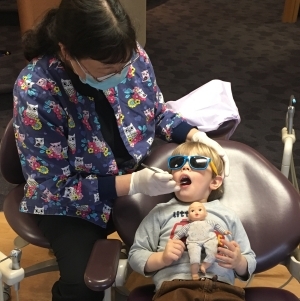 When a child needs treatment (fillings), we provide nitrous oxide and oxygen during local anesthetic administration, and we have an iPad and headphones so the patient can watch a favorite show. Dr. Sata and our gentle assistants explain the procedures to the patients so they know what to expect, and praise every one with positive reinforcement. For the most part, our patients look forward to their next appointment and especially look forward to choosing a prize and balloon at the end of the visit! Ours is a very happy practice where we love our work and our patients. We hope you’ll join us and make our Seattle pediatric dental office your child’s dental home.